Business development, retention and expansion is the driving force behind the Metro Chamber’s economic development objectives. Businesses in a local economy are the primary engines of economic growth, with as much as 80 percent of new employment in a region due to the expansion of existing companies. Through the Metro Chamber’s business retention and expansion efforts and Business Bridge, businesses are able to access the resources, tools and information they need to grow and prosper. The Metro Chamber is a proud leader or partner in the following Economic Development endeavors that benefit the Capital Region. The Metro Chamber is an official Consortium Member of AgPlus, a federal Investing in Manufacturing Communities Partnership (IMCP) aimed at boosting manufacturing across the Central Valley. The Capital Region Business Resiliency Initiative (BRI) aims to increase awareness and preparedness for business continuity risks faced by small and medium enterprises in the Capital Region. The Metro Chamber is now managing, in collaboration with Sacramento State and other partners, the Capital Region Small Business Development Center (SBDC). The goal is to provide small businesses with valuable and trusted advice along with access to the capital needed to create jobs and advance their own local economic development objective. Each year, the Metro Chamber partners with Sacramento State for the Sacramento Business Review. This event features the most comprehensive, precise, and intellectually sophisticated analysis of the regional economy. The Capital Region SBDC is an official partner in iHub, focused on empowering the region’s natural competitive advantages in agro-sciences, medical services, clean energy, and government technology to develop competitive growth clusters. The Metro Chamber is a primary partner in crafting Next Economy, the economic blueprint for the region focused on accelerating job creation and new investment in key business areas. The Capital Region SlingShot initiative aims to fortify regional economic prosperity and improve income mobility by creating a stronger regional innovation ecosystem. We’re heading to Austin! As the state capital, the Live Music Capital of the World, and one of the country’s fastest growing economies, Austin thinks big but holds true to their authenticity. Join us as we explore what makes Austin, Austin. By participating with the 2017 Study Mission delegation, you will help set the agenda for the Capital Region as we explore a host of topic areas in Austin, Texas. For more information, visit our website! 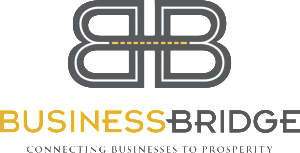 The hallmark of the Business Bridge program are our Business Walks where community leaders pound the pavement to chat directly with business owners on the status of the current business climate. To date, we’ve conducted over 12,000 visits cumulatively. Following a Business Walk, we do an initial triage of those companies that are in need of immediate assistance and connect them to the resources they need to overcome their unique business expansion impediments.